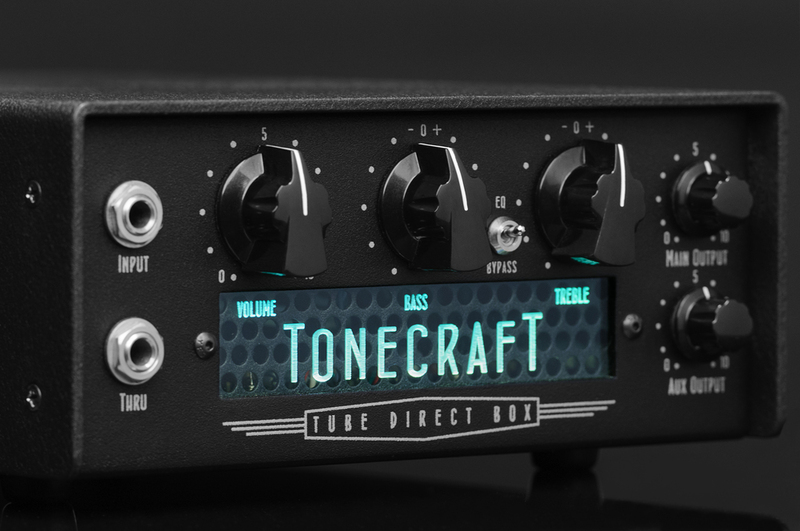 The Tonecraft 363 is the player's answer to the traditional DI box. It combines a Class A 'tube amp' approach to tone shaping with state of the art design and 'by hand' build techniques from the golden age of studio recording equipment (1950's - early 1970s) to deliver a classic and consistent sound in any setting. But perhaps what it really does best is to give control back to the player. WHAT DOES IT SOUND GOOD ON? While the 363 is decidedly old school in look and design approach, it neatly suits most styles of music from jangly Cure or growling Sabbath to classic Motown, Studio One rock steady, bebop and country. For acoustic guitar it can be a way to plug in and get a great sound immediately without having to endlessly twiddle parametric settings back and forth or haggle with the sound person. For keyboard players it can add warmth and depth of character before plugging into an amp, powered monitor or PA. For electric guitarists… well we really can't jive you into believing this thing sounds like a 50's tele through a tweed Deluxe, but it's about as close as any tube DI box will ever be and creates a killer direct electric guitar tone. Now where the 363 inspiration began and where the 363 truly excels is with electric and upright bass. Let's address the different uses. For upright the 363 allows the bass to go direct without an amp if desired. You've got enough to carry. If the venue has decent monitors you are all set. The 363 is incredibly piezo friendly with an ultra high 10meg input impedance so you can hear all of that woody tone from top to bottom without the honks, woof, and brittle edge usually associated with piezo pickups. For electric bass use your existing amp, venue monitors or backline for your power amp. The 363 takes over the tone shaping front-end duties, giving you a rich, vintage tube amp sound with abundant power. Imagine a vintage fliptop with 200,400,600 watts. The second identical output is there to feed the front of house with the same huge tone you are hearing on stage. Stage and FOH each have their own isolated level control so player and sound tech are both happy. We are professional bassists by trade and have spent endless sessions with direct boxes. Many of these units are excellent, but lack the ability to shape the sound besides subtle tone shifts and require additional amplification to bring the signal up to full line level. How many times have you liked your direct sound, but just needed to tweak it a little bit? This usually requires the engineer to add some EQ or perhaps even a distortion plugin for a little bite. This is often left until the mix stage when you may not be able to have any input. The 363 is a "whole sound" device. Get your sound, fully adjusted to suit to song, and send it to the recorder at full line level. You can pair it with your favorite mic pre-amplifier if you like, but you certainly won't have to. The 363 has all the gain, headroom and character that you need in one box. The 363 controls are simple and intuitive, like many of the vintage amplifiers and studio equipment that inspired its' design. The Input can be fed with instrument to line level signal from passive or active guitars and basses, keyboards and other electronic instruments. The Thru provides a way to feed your amp (or tuner) with a tube isolated signal. This is referred to a 'buffered thru' and keeps the 363 circuitry fully isolated from the amp and potential noise or loading issues that might compromise the 363 signal. Volume provides over 36db of gain. Treble and Bass control a classic Baxandall equalizer. The 363 features a Bypass switch that removes the eq from the circuit completely. This provides a fast way to toggle back and forth between the tone shaping of the 363 EQ section and the wide range bypass mode with low end extending down to the single digit hertz range. The interaction of preamp volume control and output level controls may be used for creative gain staging on stage or in the studio. It can provide that extra bit of grit needed to cut through the band or mix or can be completely clean depending on how you balance them. The Master and Aux Output Level controls are each capable of simultaneously delivering +22dBu of balanced signal to confidently drive the pro audio inputs of your DAW, tape machine or outboard equipment and more than enough to drive any power amplifier (or the amp the local back line company happened to stick you with) to full output. Each balanced output features its' own Ground Lift switch to help isolate your signal from ground loops. We are a company made up of professional musicians and know that the best piece of gear gets you to your ideal sound fast. 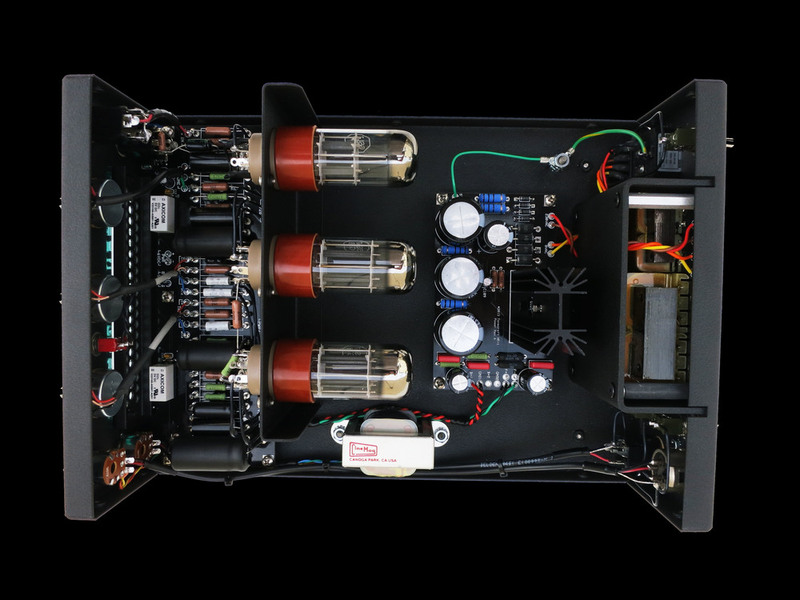 We have set out to create the world's finest built, most versatile Tube Direct Box and to make your instrument and performance sound better than it has ever sounded before. We hope you will be bringing it on stage and in the studio with you soon. Engraved and illuminated clear front panel. Adjustable brightness.